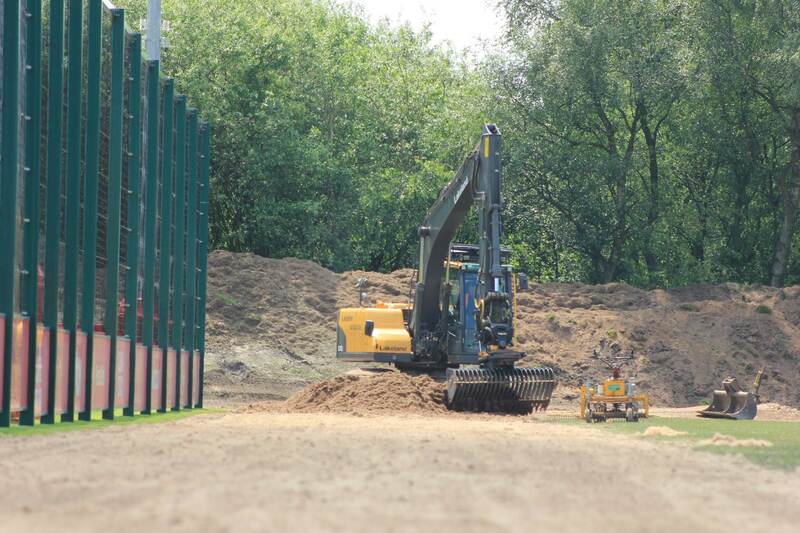 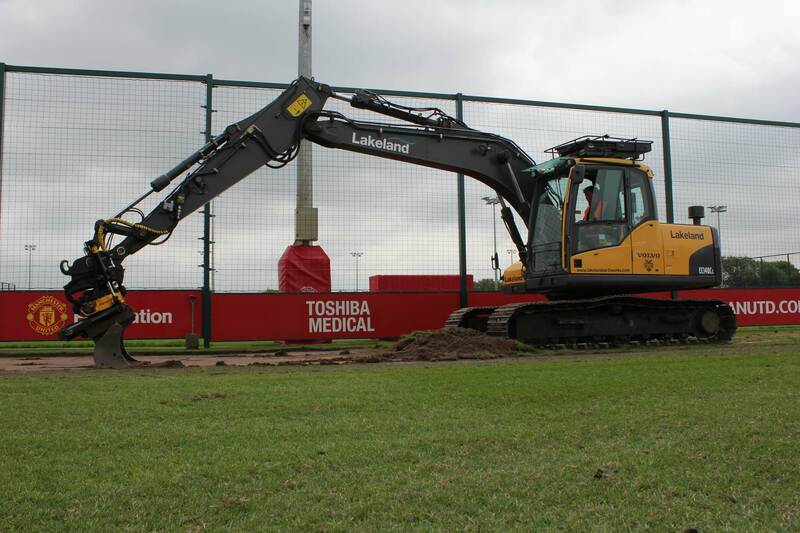 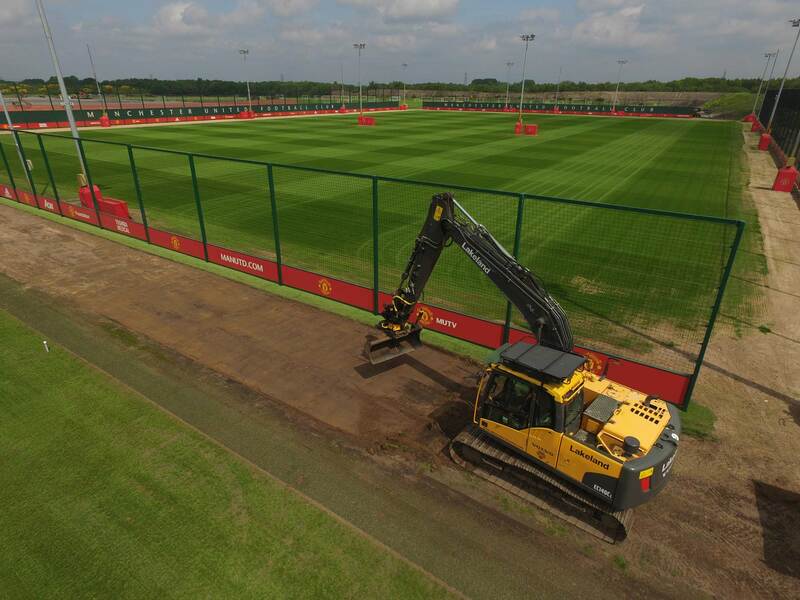 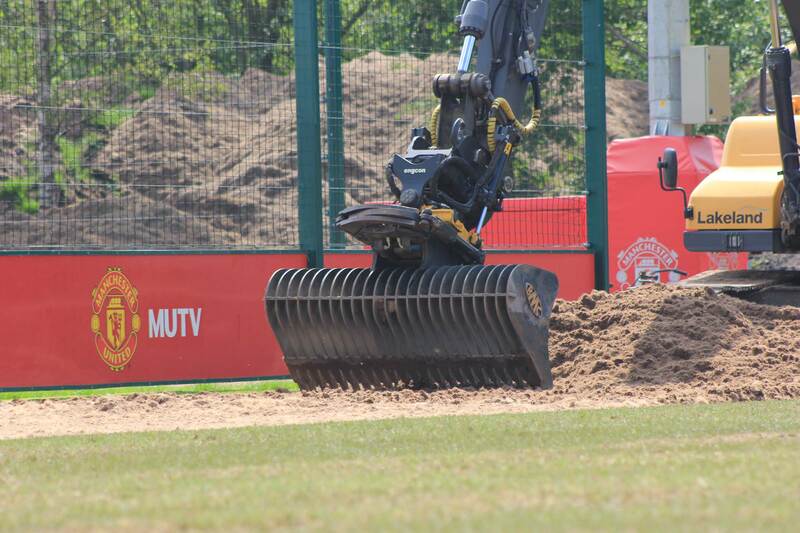 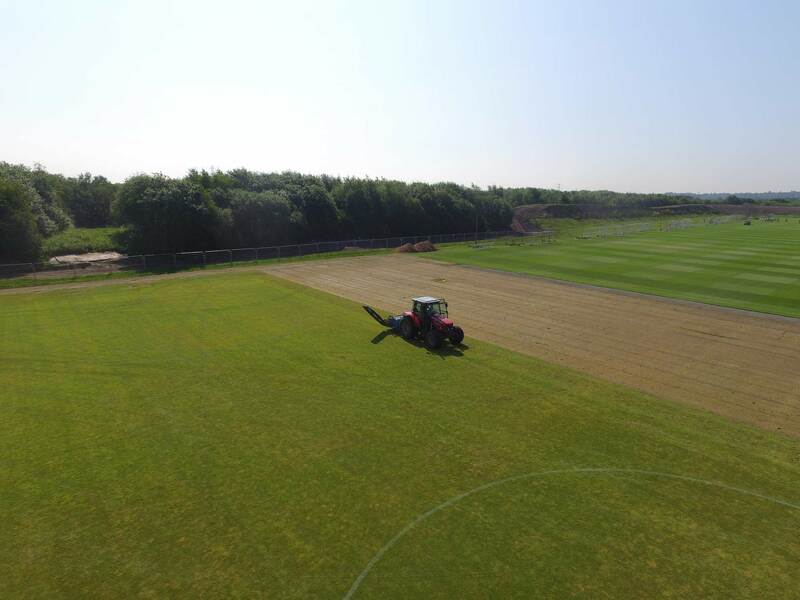 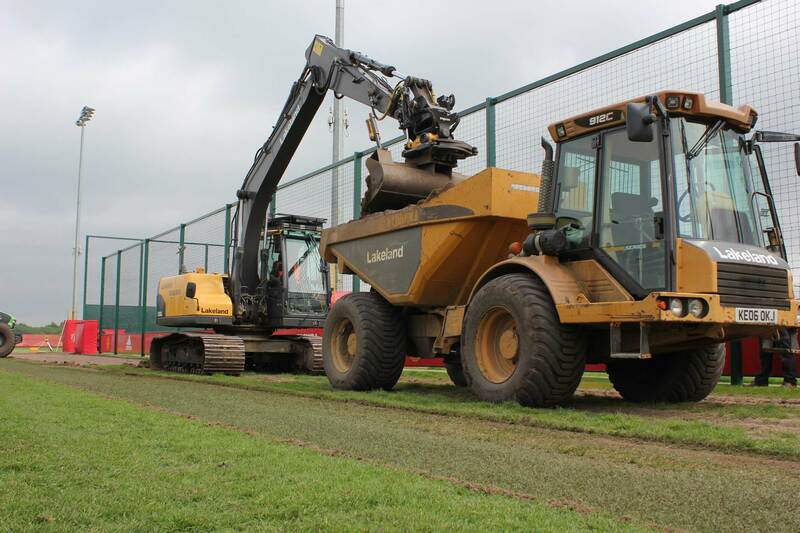 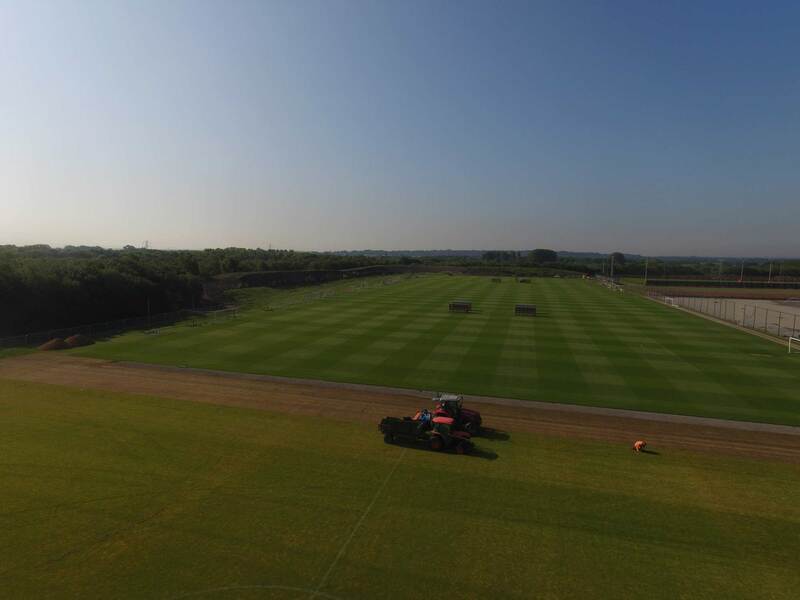 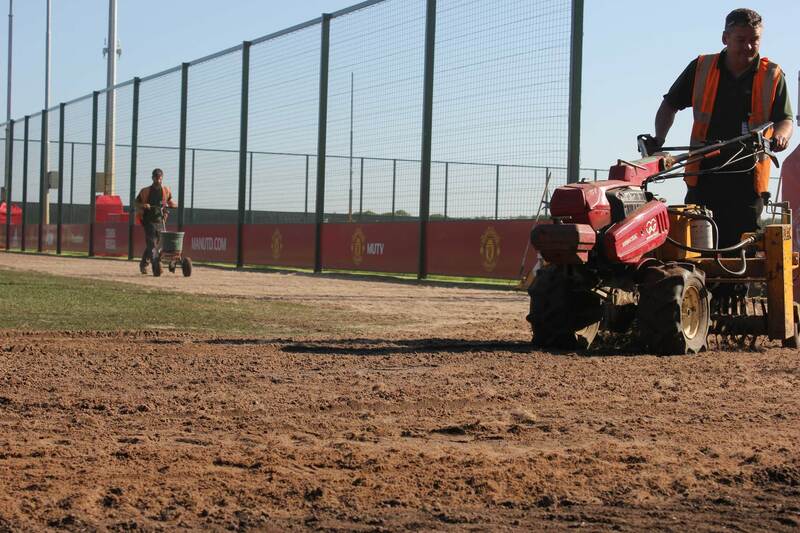 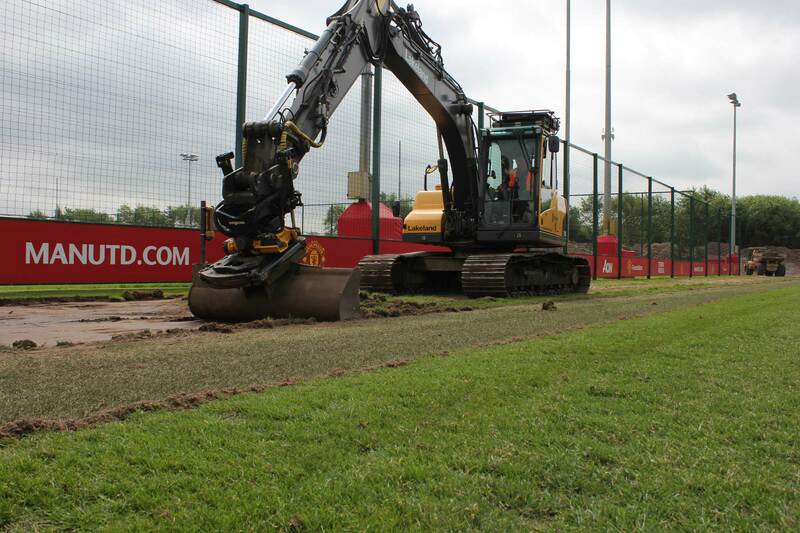 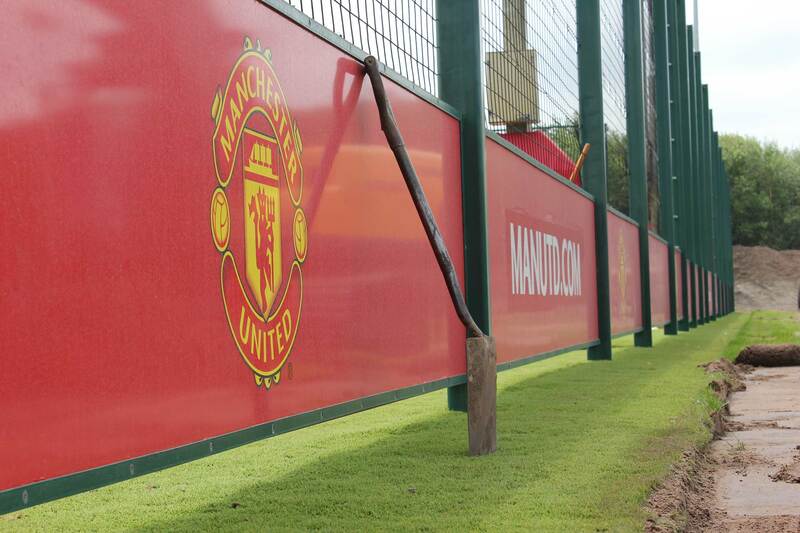 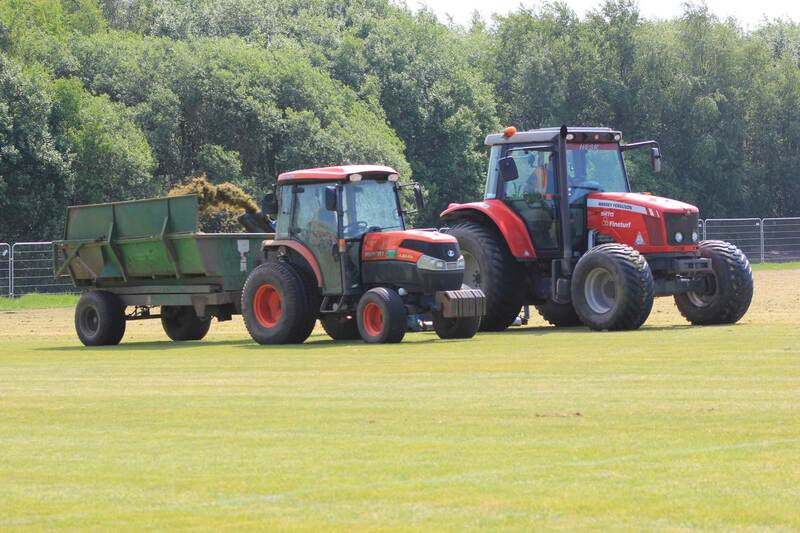 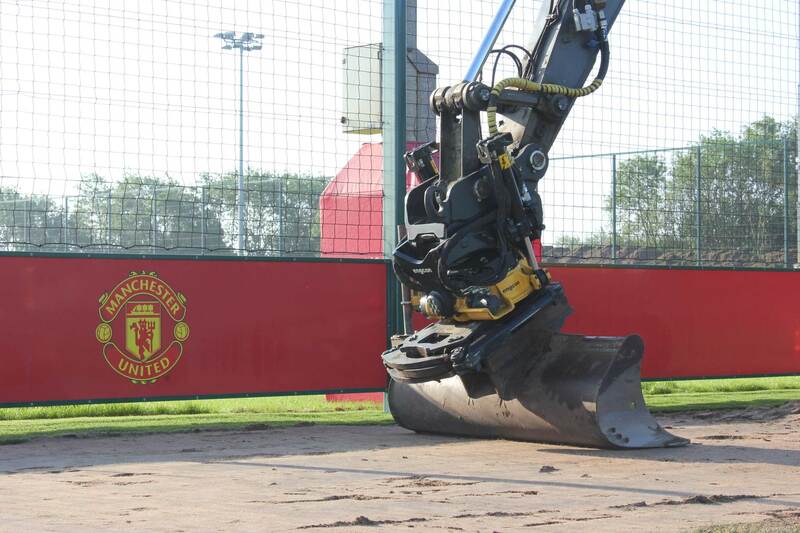 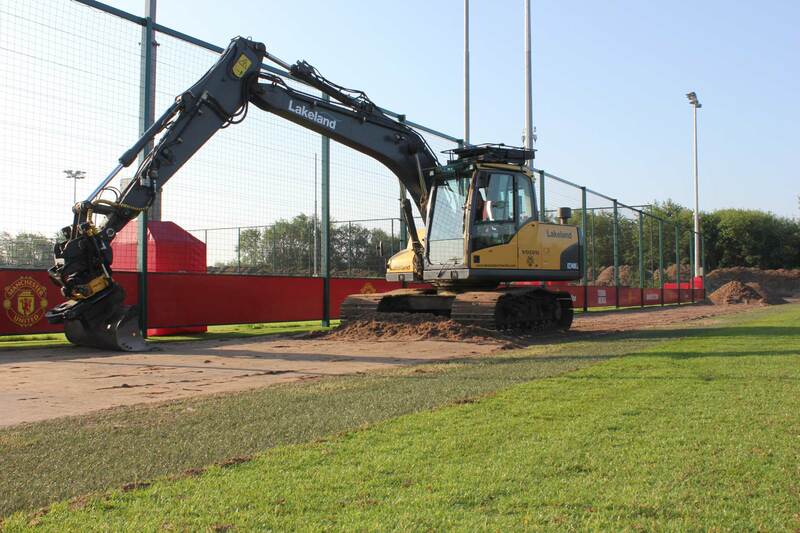 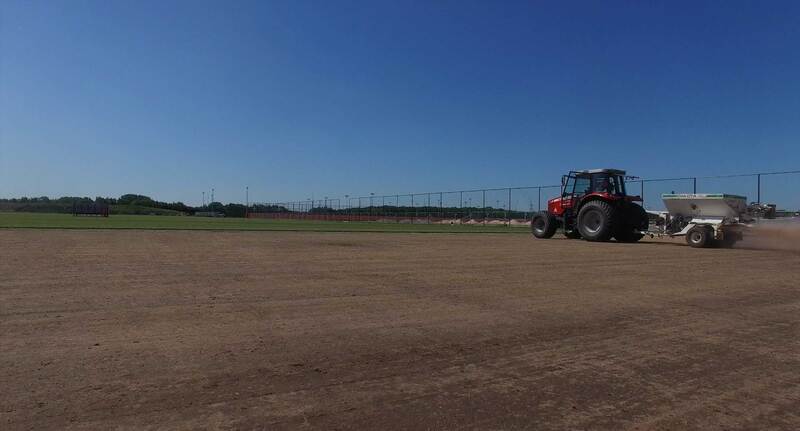 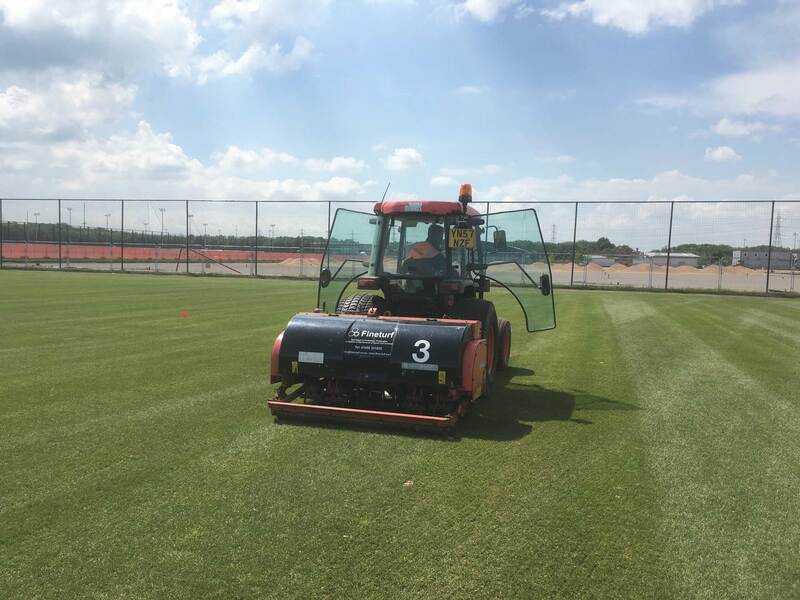 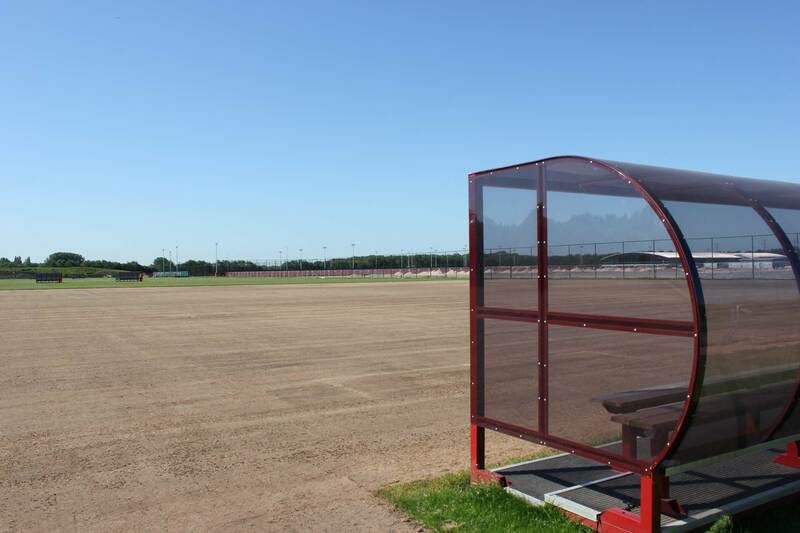 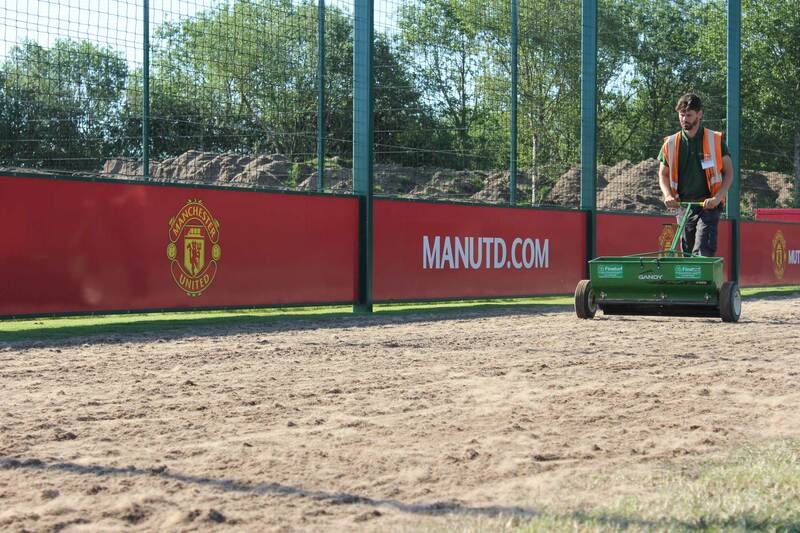 Following the first teams final training session of the season, in preparation for their successful journey to Stockholm to win the Europa League, we spent the bank holiday weekend work renovating 4 pitches at Trafford Training Centre, Carrington. 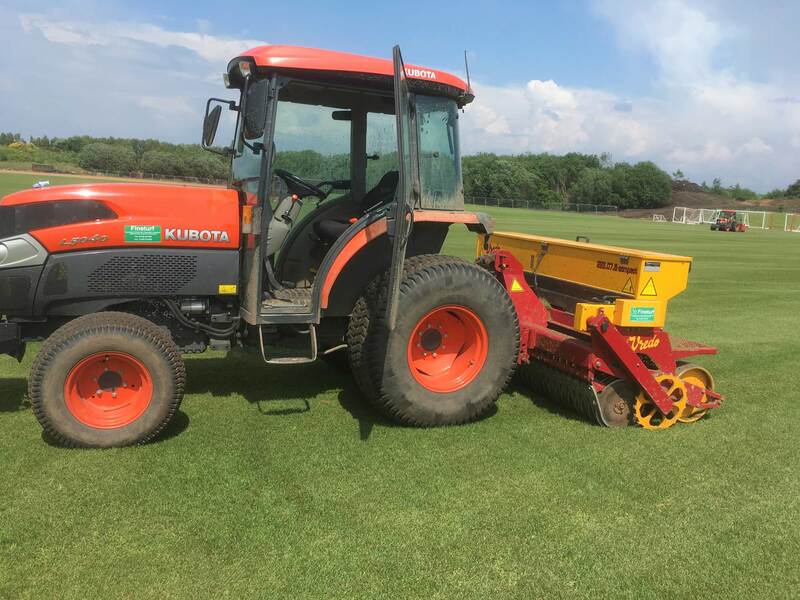 Three pitches had a lighter renovation that included scarification, vacuum, disc seeding, dimple seeding, aeration and fertilisation. 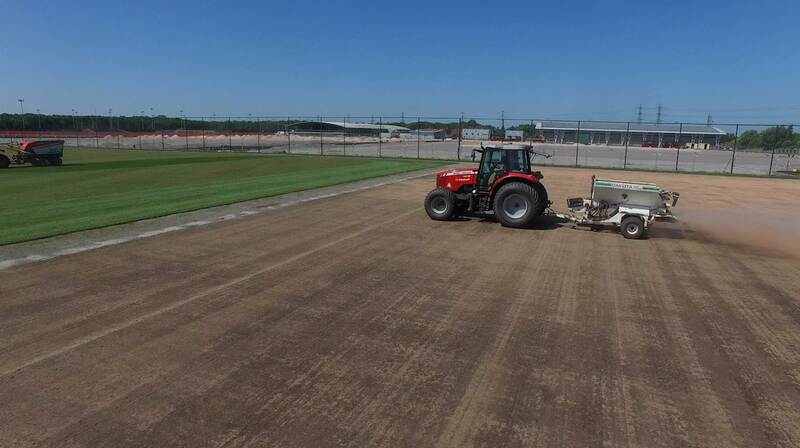 On the final pitch the surface was removed with a GKB Combinator and the arisings were vacuumed. 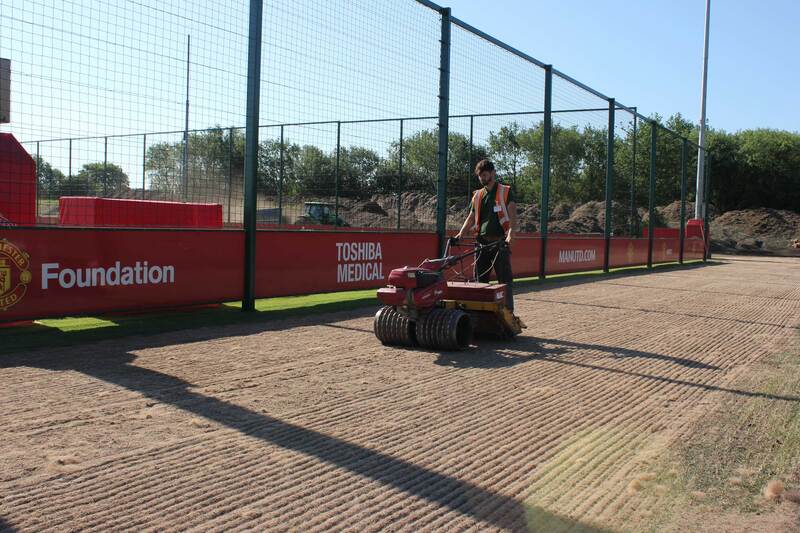 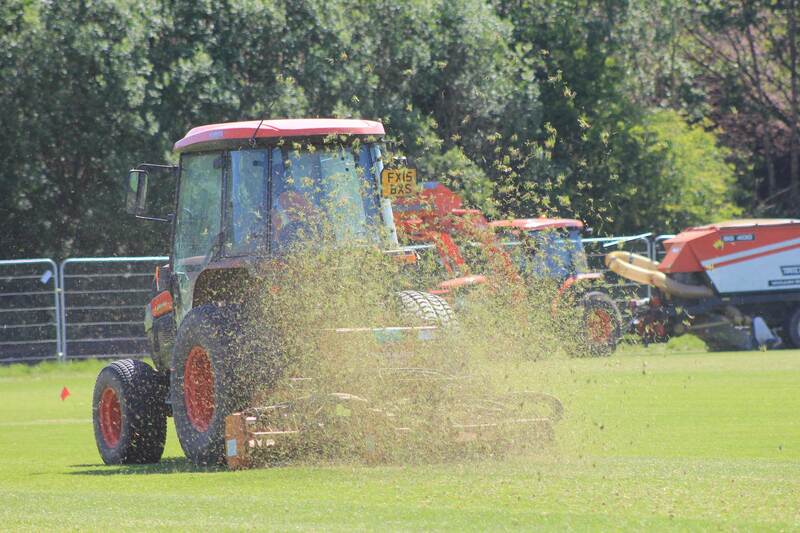 A new layer of sports sand was spread, seed sown with a disc seeder and dimple seeder. 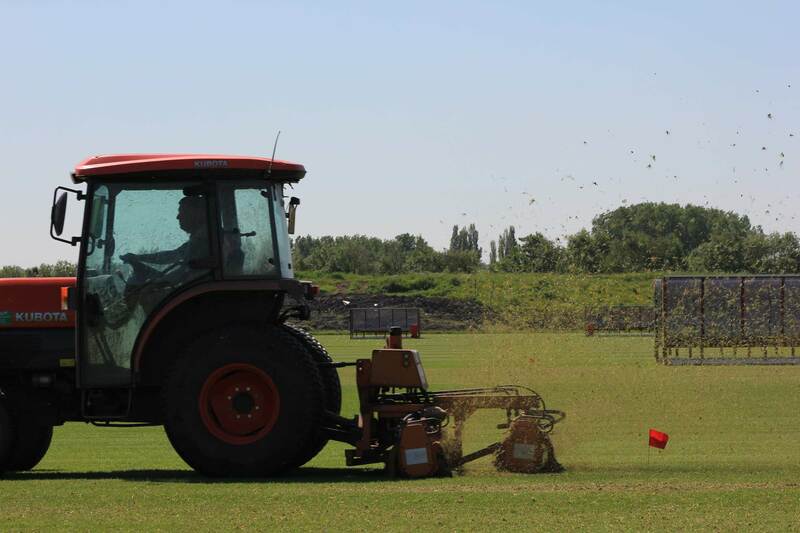 Finally, the pitch was aerated and fertilised. 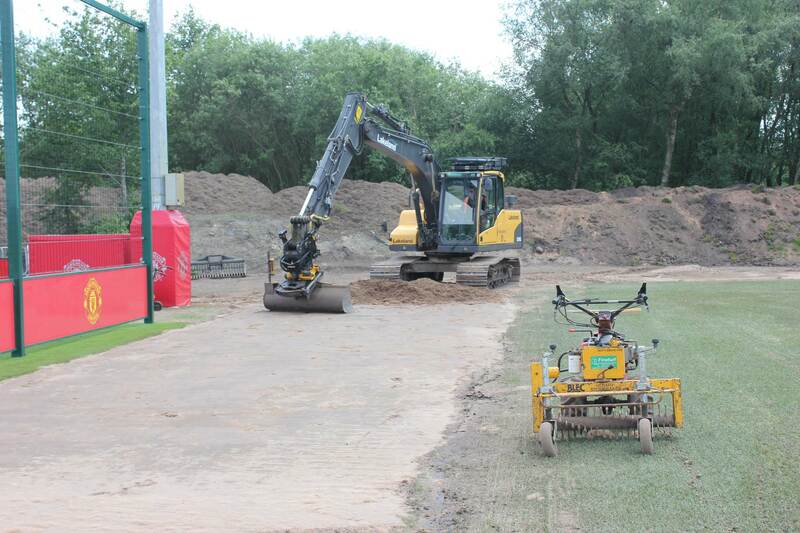 During the project we also replaced the fibre rootzone from an area.